McLaren is using Intralinks collaboration software to share critical information across the business. A number of engineers across the McLaren Group – including Race Team, Automobile, Electronic Systems and Applied Technology – are using the Intralinks VIA for secure enterprise collaboration in order to share intellectual property securely. 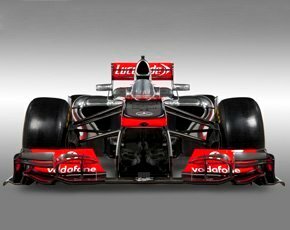 “Vodafone McLaren Mercedes needed a collaboration platform that we could trust with our highly sensitive information, but which would also keep pace with our business,” said Stuart Birrell, CIO, McLaren. Birrell said a number of McLaren engineers used Intralinks VIA to share drawings, specifications and documents, but getting the whole team to step away from the consumer sharing platform Dropbox required a culture change at the organisation. “When I joined two years ago, the amount of information sharing going on in an insecure manner - we need to do something,” he said. The organisation has relied heavily on Dropbox for sharing files in the past, and Birrell said McLaren has yet to roll out VIA fully, with a number of engineers still relying on the consumer sharing product. Birrell said out of 800 engineers, 20-30 core important individuals are used the VIA application which the organisation implemented in September 2013, when more management tools were added to the product. “It’s getting those advocates using it,” said Birrell. He said another challenge was to change the culture in a substantial organisation of 2,500 employees. For McLaren, the software protects the company’s intellectual property (IP). “IP is becoming more precious and valuable,” said Birrell. As the company diversifies away from F1, through divisions such as its automotive and electronics arms, more technology needs to be patented. “IP has become more important for the long term, not just this year’s racing series,” he said. Birrell said the VIA provided individuals with the power to manage content, even after it had been sent beyond the firewall. So if a drawing has been sent to the manufacturer, Birrell said he did not want the specifications on the company's systems after the product had been made. “One of the great advantages of VIA is having that degree of control once you’ve left the building by remotely deleting documents,” he said. Dropbox, on the other hand, had no control once it had left the firewall. Birrell said McLaren chose Intralinks because of its solid security architecture used in its data rooms, from which the company grew. An Intralinks virtual data room (VDR) provided a controlled way of sharing confidential content outside of the enterprise. “The other reason we work with them is its attitudes to development and innovation,” said Birrell. The software as a service is device-agnostic and works on desktop, tablets and smartphones. While it is not tied into McLaren’s internal systems yet, Birrell said it will in the future incorporating machine-to-machine standards through secure FTP, to allow systems to send drawings straight out to suppliers automatically. I thought it was Ferrari that needed the secure architecture to keep it's data safe from McLaren...?